Whether you’re hosting guests or simply want to enjoy a lazy Sunday morning, you’ll want a home that fits your lifestyle. Buffington Homes, based in Austin, has more than 40 years of experience creating distinctive homes for discerning Texans. 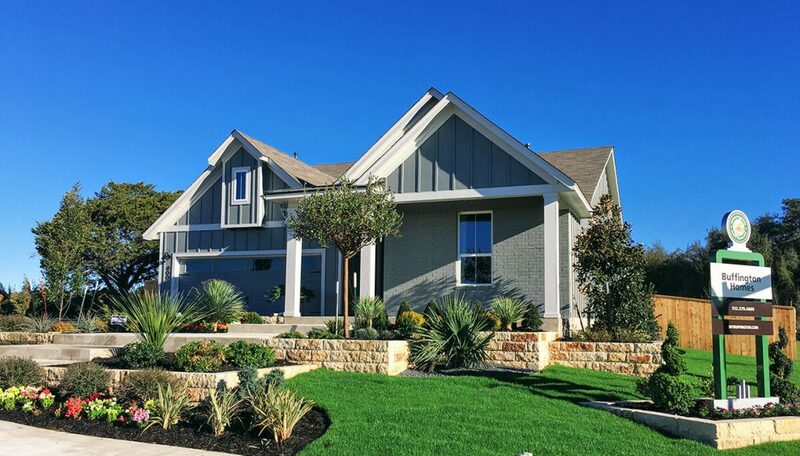 Now, Buffington Homes is building beautiful new homes in Orchard Ridge, a new master-planned community from Freehold Communities in the gorgeous hill country setting of Liberty Hill, just northwest of Austin. Featuring community gardens, nature trails, and resort-style amenities, Orchard Ridge offers a lifestyle focused on healthy living and connecting with nature. The community contains gracious oak trees, complimented with peach and pecan trees throughout, and gradually slopes into an expansive basin of seasonal creeks and ponds. Residents are encouraged to grow their own produce in the Founders Garden or enjoy offerings from the community garden and local farmers’ market. The community is conveniently located near Austin for work or play, and Georgetown’s historic town square, quaint shops and charming eateries. Through the years, Buffington Homes’ designs have evolved to meet the changing needs of Texas families. Today’s homes offer open family living spaces as well as private getaway areas. Buffington Homes offers all of the above, but boasts professionally designed exterior color schemes. At Orchard Ridge, Buffington Homes’ residences range in size from 1,900 to 2,800 square feet. One- or two-story, homes feature three to five bedrooms and two, two-and-a-half or three baths. Move-in ready homes are now available and start in the mid-$200,000s. Model homes are available to tour now! To learn more about Orchard Ridge and what this exciting community has to offer, join our Founders Club to receive news, updates and invitations to upcoming events.